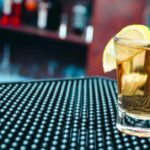 Ok, this one a little out of left field I know, but I did promise to expand my knowledge on other chemical free options after the great crystal exhibition episode of 2018, so grab a beer, take a seat and come with me on a salty man-journey! Like much of the stuff I write about here, this little post was inspired by my beautiful wife – and a light bulb she wanted me to purchase. This one started with a text as she is currently away working – “Hey, when you are in town today can you see if you can get a bulb for the salt lamp?”. My response… “We have a salt lamp?”. So after my re-edumancation into the things that we have in our house, I managed to open said lamp, find a bulb and get it replaced – turns out they are at the local health food store… Who knew? 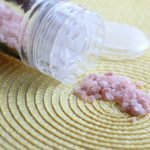 And of course, now that my tiny little mind is constantly consumed with what things do in the world of chemical free living – added to the fact that I was too afraid to ask Nic, I decided to have a look into the benefits of Himalayan Rock Salt. Yep it’s salt! It comes from the Khewra region of Northern Pakistan and its pink colour comes from the minerals that are contained within it. This salt is said to be millions of years old and contains trace elements of 84 minerals including potassium, calcium and magnesium. Now, time to be a little skeptical here… The trace elements are so small that I really struggle to understand how they can be of benefit, I mean if you want potassium, eat a banana. There is also no real discernible difference between natural rock salt and natural sea salt, however the human body does in fact need salt as part of a balanced diet and both types are much much better for you than processed white salt – and let’s face it, natural sea salt looks soooo much better on the side of a margarita glass than the processed stuff!!. Now, before we start, as I do with Essential Oils – and crystals for that matter, I need to be clear here. I am not going to sit here and promote the use of any type of natural salt as a magical cure for every disease known to man. I don’t agree with that and will never try to say otherwise. Unlike the benefits which, again like oils etc. are largely in the eye of the beholder, there are some proven health risks to those with high sodium intakes including high blood pressure, heart disease and kidney failure. 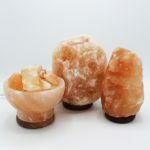 Salt lamps are claimed to improve the air quality of your home and are created by carving a large chunk of salt out of the mine, gouging a hole in the bottom and inserting an electrical light socket and plug – well that is the simple process anyway. Their use is even simpler, make sure there is a bulb in it, plug it in and switch it on. I use the term ‘claimed’ as I have not been able to find any proof that they do this but proponents will tell you that as they absorb water and particles from the air, taking positive ions with them. The heated salt then releases water vapor back into the air leaving the impurities on the lamp. They also then expel negative ions. This process is supposed to leave the air clean and pure leading to improved sleep and a clearer, calmer and more focused mood. Ummmmmm…. we use one, it is essentially on all day. I have to be honest, I have to put it in the category of if you feel it making a difference, then it probably is. It does look nice at night though. If you suffer from allergies etc. then I would probably give it a try! 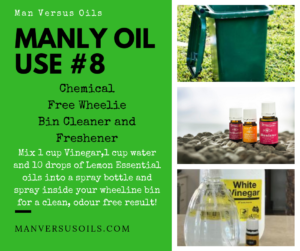 Back when I wrote about manly uses for lavender essential oils, I did mention for those of us who are a little more comfortable within ourselves that a lavender bath might be worth a go. If you tried it and loved it, then I have a treat for you. I didn’t love the lavender bath – of course I had to try it for research’ sake but I am not a fan of baths. But after a hard game of indoor soccer or a busy day on the beach, or any other manly stuff like, you know, working, a salt bath is the bomb (no pun intended)!!! 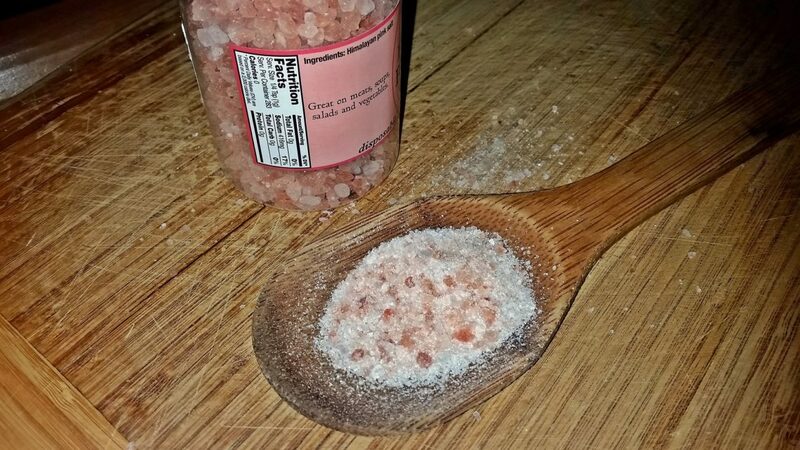 Fill the bathtub, add your Himalayan salt rocks and stir until the salt is mostly dissolved. Then submerge as much of your body as you can for around 20-30 minutes. As one man to another… if your body is stiff and sore… do this, you will not regret it, and will probably even tell your mates how good it is! Epsom salts – Epsom salts are not actually a salt but rather a pure mineral compound of magnesium sulfate in crystal form. It is not salt as it has no sodium chloride. It looks like salt, can smell like salt but, unlike the duck, is not salt. That aside, if you are a little low on the old pink Himalayan rock salt this week, you can substitute the old Epsom salts for a fairly good result. However, these benefits are only recognised as part of a controlled diet – and by this I mean healthy foods in moderation – too much salt in your diet will have the reverse effects of these benefits. To reduce blood pressure and lower the risk of heart disease, the Australian Heart Foundation recommends adults eat less than 5g of salt (2000mg of sodium) a day. That’s less than a teaspoon a day. There’s no salt is buffalo wings right? anyone? Ok, so this one has no benefit at all, I just wanted to add some manliness to this post. Now I ask you what man doesn’t want to find a way to impress his mates with a little out of left field salt cooking. 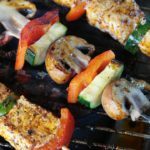 A salt plate is a big flat lump of very hard rock salt that can be heated on the grill, or in the oven and then used to cook meat, seafood or anything else to add a little bit of a salty flavour to it. I haven’t used one, and in the interest of full disclosure, didn’t know they existed until now but I might have to give one a bit of a go at some stage. Will keep you posted. Oh and ladies, if you are reading this – it is coming up to Christmas so *cough cough* Gift idea *cough*. So there you have it, a simple request to change a light bulb and this is what you get. A long-winded exchange into a product that in terms of real health benefits I am still more than a little skeptical about in regards to salt lamps but comfortable with in terms of consumption. The bath does feel good though. Now, must go as I have to turn the salt lamp on, pour a glass of red and run me a man-bath! This is a great article Paul. I have heard about Himalayan salt but I did not know all its benefits for our body. I will for sure introduce it in my nutrition primarily because it is a muscle relaxant and stimulant. thank you for revealing to us this awesome salt that has nice benefits. Hey Paul! I am so pleased to see a dude embracing these ideas and writing posts about them. I just recently did some research for a post I did on the benefits of sea salt on the skin after a sweet dip in the ocean and I was fascinated and grateful to gain the knowledge and insights you provide here as the pink crystals that have all the minerals that give them there colour has actually inspired me to want to travel to its origin in North Pakistan and scope it out. I am an avid bath taker and always seeking a more natural element that can enhance my well being and having gained this information from you, I am keen to learn more. Thank you so much and keep up the great work! Cheers! Thanks Glenda – Agreed it does taste much better than the processed stuff. I like the looks of the Himalayan Rock salt lamps and if they do produce the aromatic and health benefits, what a bonus. I agree with you on the disease curing, the salt lamp was not meant to do that, oh well. Christmas is coming up and there are so many different styles of the lamps and low priced that you could order a bunch of them and give them to your friends for Christmas without spending the bank. I am sure this will be a popular gift and re-gift. A note on the salt yes we do need a pinch of salt a day for health benefits like you mentioned. One other note there are so many microplastics floating around that guess what they have snuck there way into processed salt. As for salt in the Buffalo wings? My answer is whatever you add into the Buffalo Wings for example a pinch of salt, Chilli sauce, BBQ sauce, and pepper. Some trivia for you, scientists have actually found microplastics in our feces, not sure if it comes form the salt. I am sure the salt plate will some how add salt flavoring to whatever you are going to cook up on it. Let us know how that works out. Really appreciate the information on the salt lamp and salt accessories. Thanks Jimmy, the salt plate is on order so will keep you posted! And yes, it is scary what the scientists can find these days. thanks for your comments. I stumbled upon this post on salt and it is something I am fervent about. As you’ve pointed out, Himalyan salt is healthier than regular salt. I am of the mind that NO ONE should be using refined salt! Salt should ALWAYS be unrefined so it has all trace minerals intact. Many doctors are coming to the realization that while sodium found in regular refined salt can raise blood pressure, un refined salt as in himalyan salt (also Redmond salt) is very very good for the heart! I laughed when you mentioned that you didn’t know your home had a salt lamp! LOL! I asked for one and my husband bought me one for my birthday a couple of years ago. I have many airborne allergies, and I have to say that those allergies really did improve and become less intense after I had the lamp going. By the way, these lamps should be left on all the time to do their ‘work’, so you may not want it in your bedroom. We have ours in the open concept living room/dining/kitchen area of our home. It acts like a night light too when I need to visit the kitchen area during the night. They really are beautiful all by themselves, even without health benefits. We use the ground up himalyan salt, or Redmond salt liberally in all our cooking and to season our plates of food as needed. So much tastier than regular salt too! I would describe it as a sweeter milder saltiness. While you many not want to push this salt on anyone, I will LOL! Everyone…. put away your regular salt and replace it with himalyan salt, for taste and for health. Regarding the lamps, choose the larger ones, a small one does not have much impact on air quality unless it’s a very tiny room! I have not heard of the Himalayan salt before but after reading your blog I did some research and it seems to be quite popular. I think I’ll just like to use for a warm bath especially after playing soccer with the boys. I did read that it could help calm tensed body muscles, don’t know how true this is. Not a bad product to try, seeing that it doesn’t cost so much. Thanks for sharing this, warm regards. This is whole new stuff for me, and at the same time, it was quite interesting, 84 minerals is a big deal. Thanks for sharing all the options, benefits and uses. Cooking seems to be familiar part for me though. Paul, I almost felt guilty for wanting to tread into this post’s little man world. I was really looking for more information about the claimed benefits of salt lamps. They look cool. Yet, like with many other ionizer devices that are supposed to clean the air; I have not figured out how to know if they are really working. Your post gives me a level of comfort of knowing that I may never really know if you don’t know. I have learned more about Himalayan rock salt than I ever expected to know. I probably should replace the table salt with this type of salt. Thank you. 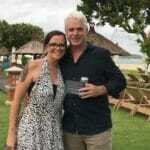 Hi Sondra – haha, I write for men but certainly love it when I attract female readers. Something my wife is certainly trying to encourage for sure. Changing your table salt is something I would certianly recommend if you are using processed whist salt. Very intriguing. Reading through the article, I got dumbfounded at the strange work the salt lamp does. I’ve never heard anything regarding this. The salt bath is no exception. I am very curious to try it out right now and I am very sure I will order for mine and feed you back with my findings. Hi Muhiyb – Glad to hear – keep me posted on how you go. Haha Nuttanee, thanks. Salt lamps do dry out the air a little so it might help in keeping it at bay. Check out this post I wrote on Mould, Just try a little vinegar to get rid of it to start with.